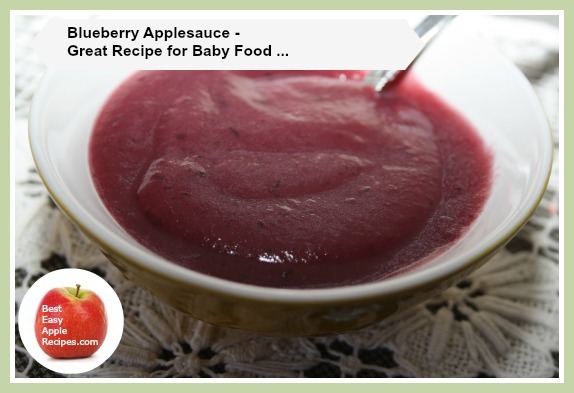 Make this Blueberry Applesauce Recipe for a yummy and healthy side dish or for homemade baby food. 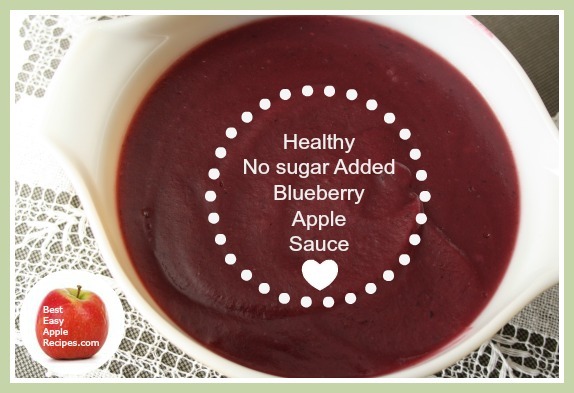 You can add sugar when making this fruit sauce, or add a natural sweetener, a sweetener product or keep it sugarless! 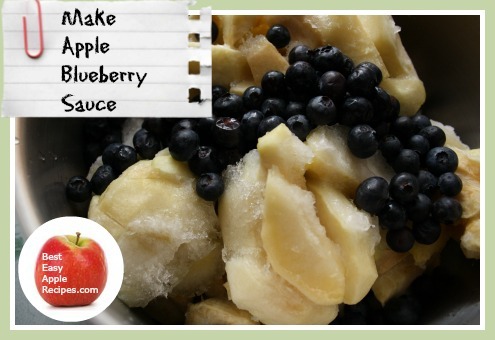 Both the blueberries and the apples can be used in fresh OR frozen form! You can use this delectable sauce stored in the refrigerator for up to a week, or you can freeze it, or can it just like you would plain applesauce. Scroll down the page for instructions on canning or freezing this sauce. Note - if you are using frozen fruit, do not thaw the fruit - use in it's frozen state. Wash (rinse under cold water) the blueberries (assuming they are fresh). Peel, core, quarter and slice in half the apples. 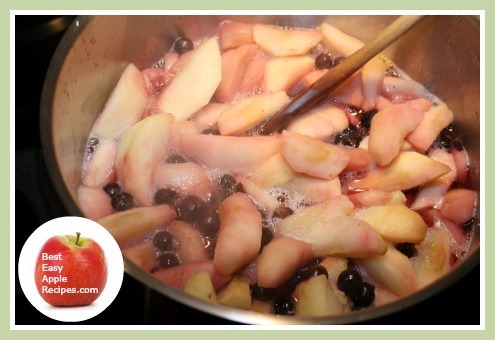 Add the blueberries and the apples to a large pan and bring to a boil over medium-high heat. When the fruit mixtures has come to a boil, reduce heat to medium-low and allow to simmer (with the pan lid ajar) for about 15 to 20 minutes, or until the apples are tender. Remove from heat, allow to cool in pan for several minutes, and then process in the blender until a smooth consistency is reached. Immediately stir in the sugar or natural sweetener, optional. 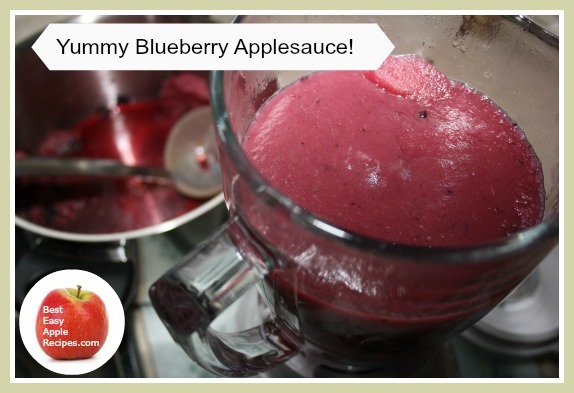 Makes about 6 cups of scrumptious Blueberry Applesauce! Store the fruit sauce in the refrigerator for up to a week, or can it or freeze it for up to one year (see below). **For additional hints for making homemade baby food and how to freeze and can fruit sauces, scroll further down this page. Making Homemade Baby Fruit Sauce? 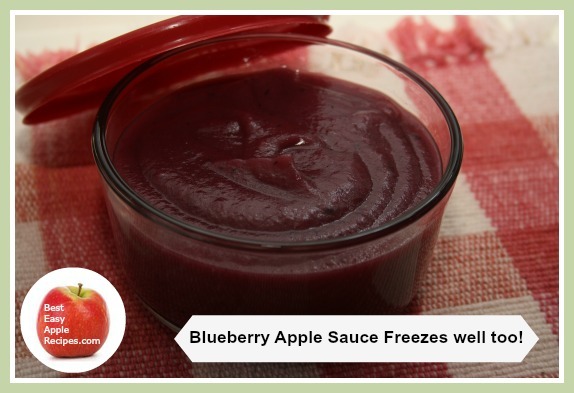 Hint - Store the sauce in the freezer in small, single serving quantities in little containers to use for baby food. 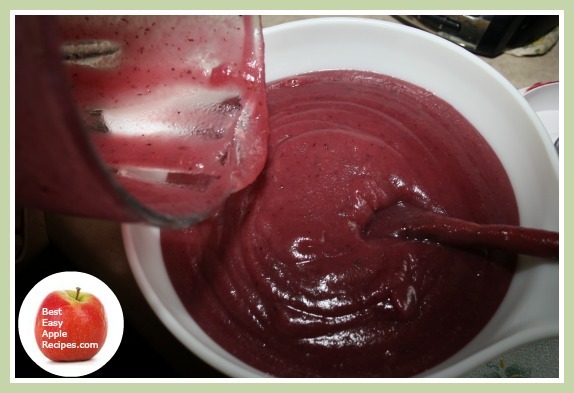 Then, thaw the individual container of frozen fruit sauce in the fridge the evening before the day you wish to use it. Or process as per the Canning Pot instructions and recommendations or directions.